Atlanta (AP) -- The Georgia company that owns Augusta National Golf Club and the Masters golf tournament on Monday asked a judge to stop a golf memorabilia company from auctioning off a Masters champion's green jacket and other items it says were never supposed to have left the club's grounds. Augusta National Inc. filed the federal lawsuit against Florida-based Green Jacket Auctions Inc. seeking to stop the company from selling a champion's green jacket and two member green jackets, as well as silverware and a belt buckle bearing Augusta National's map and flag logo. The champion's green jacket is awarded each year to the winner of the Masters tournament, "and is, probably, the most coveted award in the golfing world," the lawsuit says. The jacket may not be removed from the Augusta National grounds except during the first year after it is presented, according to the lawsuit. 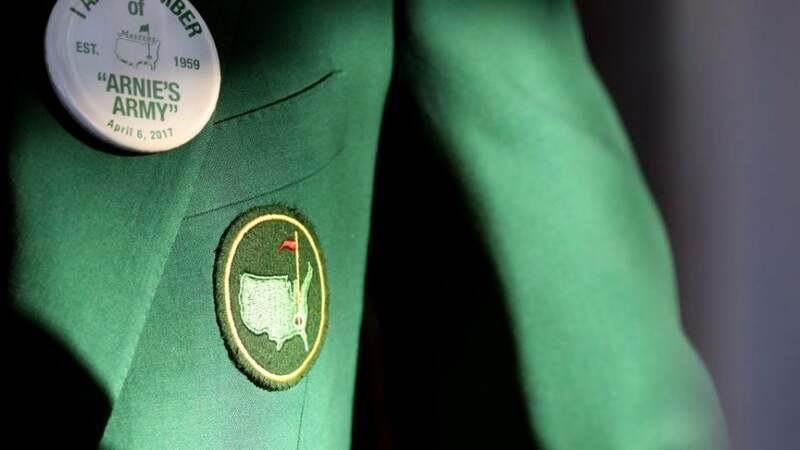 After that first year, the jacket must be stored on Augusta National premises and can only be used on the grounds and during the annual tournament. Augusta National said it owns the jackets, and the champions have "possessory rights" when they're on Augusta National grounds. The same rules apply to the member green jackets, except they may never leave Augusta National grounds, the lawsuit says. Each jacket is marked for identification and authenticity. "It appears that Augusta National Golf Club is attempting to assert ownership claims to every green jacket ever produced, regardless of who currently owns or possesses the jackets," Green Jacket Auctions co-owner Ryan Carey said in an email. "Obviously we at Green Jacket Auctions dispute such claims, and will litigate the matter, if necessary." The lawsuit says Augusta National recently learned Green Jacket Auctions was advertising a sale that includes the champion's green jacket won by Byron Nelson in 1966. The jacket was where it was supposed to be, in storage at Augusta National, during a physical inventory in 2009. But a recent check determined that it is now missing, the lawsuit says. It is unclear how the jacket and other items ended up on the auction block. By mid-afternoon Monday, the online bidding on the jacket, which closes at 8 p.m. Saturday, had reached $114,874. The online sale also includes a member green jacket assigned to club member John R. Butler, Jr. According to the lawsuit, Butler has said he has never removed his jacket from the golf club and never agreed to have it sold by Green Jacket Auctions. Another member green jacket that was assigned to George King, who was briefly a member of Augusta National Golf Club, is also part of the sale, the lawsuit says. Green Jacket Auctions is in "wrongful possession" of all three jackets and does not hold the legal title to any of them, the lawsuit says. Additionally, the online sale includes silverware stamped with the trademarked Augusta National map and flag logo. Augusta National does not sell or give away the proprietary silverware, so the only way someone could get it is to steal it from the golf club, meaning the silverware listed in the sale is either stolen or counterfeit, the lawsuit says. Green Jacket Auctions is also selling a belt buckle with the trademarked map and flag logo, an item that was never approved by, licensed by or developed on behalf of Augusta National, the lawsuit says. Green Jacket Auctions' "marketing efforts are clearly intended to draw upon the valuable reference to the Augusta National Golf Club and the extensive secondary meaning associated with (Augusta National Inc.'s) Marks, and ability of consumers searching those trademark names to land on the offending website," the lawsuit says. The lawsuit asks a judge to order Green Jacket Auctions not to use Augusta National trademarks and not to deceptively or unfairly compete with Augusta National. It also asks that the jackets and silverware be returned to Augusta National and the belt buckle destroyed. Augusta National also asks for damages and legal fees. Green Jacket Auctions' website says the company has previously auctioned off three green jackets that had been given to champions. It sold a coat belonging to Horton Smith, the first winner of the Masters, for about $682,000 in 2013.